Aquatic Bath 6032ITSR White 60"x32"x81" ADA Shower Stall. The Aquatic Bath 6032ITSR White 60"x32"x81" ADA Shower Stall is designed with beauty, durability and user safety as the end product. This ADA compliant Shower Stall brings the preferred features from all kinds of showers and combines them into a commercial quality shower stall. The Shower Stall features a high-quality Gelcoat surface designed to resist chipping and staining, molded toiletry shelves and a slip resistant floor. 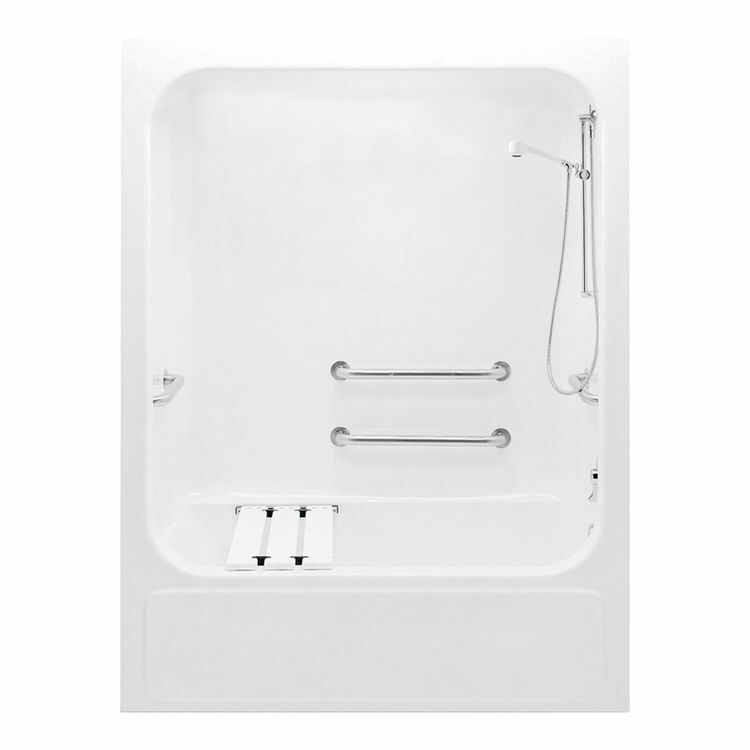 This Aquatic Bath 6032ITSR White 60"x32"x81" ADA Shower Stall also includes optional features like seats and grab bars for added safety when entering and exiting the shower. This Shower is backed by Aquatics 5-year limited warranty. Shipping Dimensions 32.0" x 60.0" x 81.0"
Dimensions: 60" x 32" x 80 1/2"